Lamp suitable for the Busch 10800 model. Easy mounting on walls. 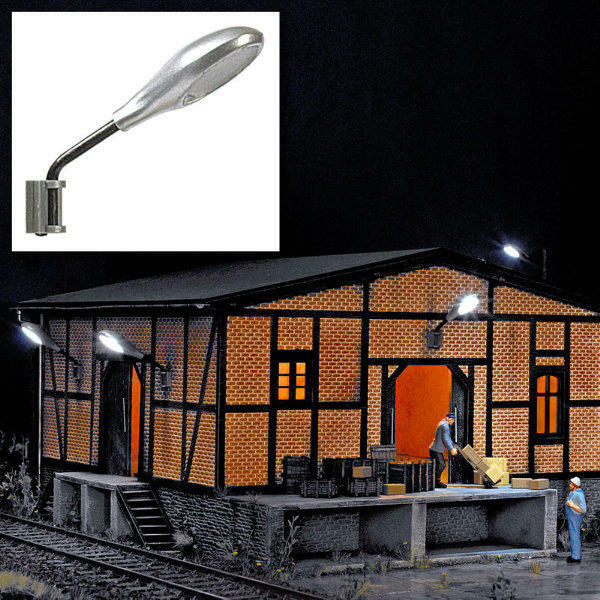 Very good for the station buildings, goods sheds, industrial buildings, town houses and street scenes.